Support your political party, the Arizona Green Party (AZGP), during our Fall 2017 fundraising campaign. 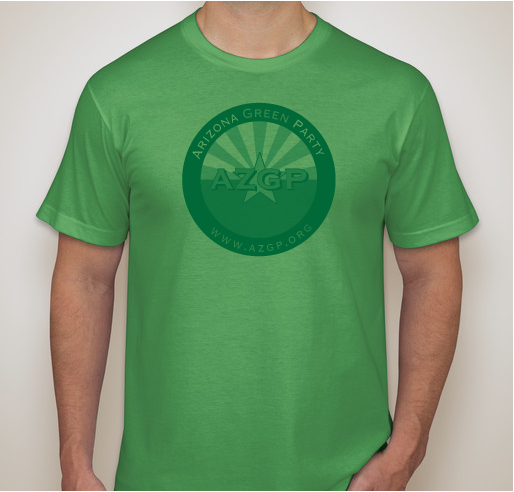 When you donate $20, you will receive a complimentary AZGP t-shirt! AZGP is supported by you, our members. Please donate today! All funds raised will be paid directly to Arizona Green Party (AZGP) for party expenditures. The Green Party does not accept donations from corporations, labor unions, or political action committees. We depend on you, our members, to financially support the important work that we do. Your donations fund the party's operating expenditures. Thank you! 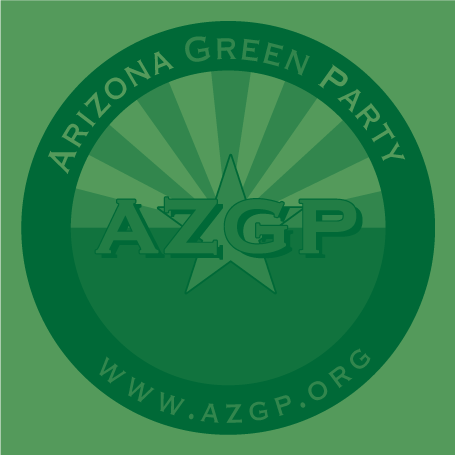 The Arizona Green Party (AZGP) was founded over 27 years ago in May 1990. We now have over 7000 registered Green Party voters across the state, and have achieved ballot status seven times in our party history. We will be on the ballot for the 2018 Elections. If you wish for us to be more visible, and run more candidates, please show your financial support by making a donation today. Thanks! Michael never gave me a Pima County Green Party t-shirt. I am a member of the Green Party. Who else supports protecting the environment? The USA needs a viable third party, & the Green Party presents our greatest promise in terms of principles, BUT the money is almost all with the 2-party system. Survivability requires that we put our MONEY where our hearts & other actions are!!! Anything to help us Greens succeed!!! How can you NOT support our Party??? Share Why You Support "Arizona Green Party (AZGP) Fall 2017 fundraiser"